In the months and weeks leading up to Prince Harry and Meghan Markle's royal nuptials, we've gotten to know them like they're part of our own friend group. We've seen Markle's childhood home videos, learned about her decision to convert, and we got the low-down on their matching jewelry for the big day. But that feeling of familiarity got a major upgrade when we drew up their birth charts (the astrological diagrams that show where the planets were located on the Wheel of the Zodiac when they were born). We were greeted with an influx of new info about what makes this pair tick — most of which was delightfully reassuring. As we've discussed previously, Prince Harry's sun sign is Virgo, while Markle's is Leo — which is a pretty compatible combo, though not without its challenges. But, in the name of astrological research (and to get even more familiar with the royal-couple-to-be) we looked at their charts using a process known as synastry, with the help of astrologer Amy Tripp. In a nutshell, synastry is a specific astrological practice meant to lend clarity to a couple's potential compatibility. 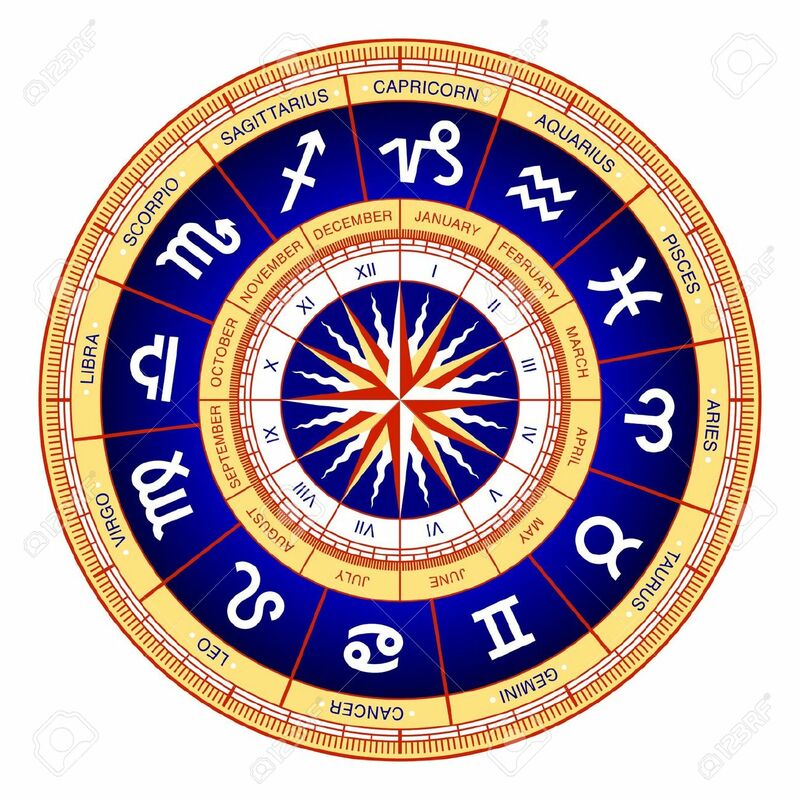 An astrologer will put a couple's birth charts on top of one another, so that it looks like their respective planetary placements are all on the same chart (this combined chart is referred to as the "composite chart"). Then the astrologer will analyze and compare the aspects (or angles) that form between the pairs of planets. For example, one person's moon might be directly across the chart from the other's moon, indicating that their moons are in opposition (a sign of potential tension). In Prince Harry and Markle's case, Tripp says there are a few key aspects that leap out at her. "The first thing that strikes me is the number of planets Markle has in Prince Harry's seventh house, the partnership sector of the chart," she says, adding that those celestial bodies include Markle's sun, Mercury, and Mars — all very important and personality-defining planets. "Markle lights up this area of his chart." And again, that area is associated with Prince Harry's relationships and how he relates to and connects with others. As the Astrotwins write on their site, this is literally the marriage sector of his chart. But Prince Harry and Markle's composite chart does more than suggest that they're simply a good match — certain aspects hint at the deep understanding and closeness they share. Tripp notes that Prince Harry's sun and Markle's Venus are conjunct, or located in the same sign. This is, simply put, a classic love connection in astrology. Speaking of advantageous conjunctions, Markle's Pluto is conjunct Prince Harry's Venus. This aspect could indicate "a magnetic attraction that goes much deeper than the surface," she says, adding that it could mean the couple enjoys a "strong sense of intimacy and a sense of being transformed by love." Between Prince Harry abandoning his party-hopping past and Markle deciding to convert to his religion, their love has prompted them to make a few changes for each other. Of course, no synastry reading would be complete without a few complications. Tripp points out an opposition between Markle's Uranus and Prince Harry's moon, which, on one hand, can reflect feelings of intrigue and excitement, but, on the other, it may nod to a tendency to run hot and cold. Beyond its emotional influences, this opposition "can be an aspect of separation, living apart, or one partner needing more freedom than the other," Tripp says. Meanwhile, there's a "particularly powerful" aspect between Markle's Mars and Prince Harry's Venus. Where the former is in Cancer, the latter is in Libra. "It shows strong sexual attraction, but it also can indicate argumentativeness and conflict," Tripp says. Overall, Prince Harry and Markle's composite chart paints a realistic picture of what any long-term relationship, royal or not, can look like. "There will definitely be challenges that will need to be overcome, particularly how to handle conflict," Tripp says. But, if Harry & Meghan: A Royal Romance is any indication, we're confident that this couple is strong enough to weather a challenge or two. After all, what's a fairytale romance without a dragon to slay?